The long-term goal of the research is to devise safe and effective therapies for neuroblastoma. Dr. Zhu and her team have developed the first zebrafish model of neuroblastoma metastasis by overexpressing two oncogenes, human MYCN and LMO1. This transgenic model affords unique opportunities to study the molecular basis of neuroblastoma metastasis in vivo, and to identify novel genes and pathways that cooperate with MYCN and LMO1 to promote this usually fatal stage of disease development. Current treatments for disseminated neuroblastoma are limited by their toxicity and inability to eradicate distant metastases. Attempts to improve this situation have been impeded by the lack of a detailed understanding of the multistep cellular and molecular pathogenesis of this complex tumor. 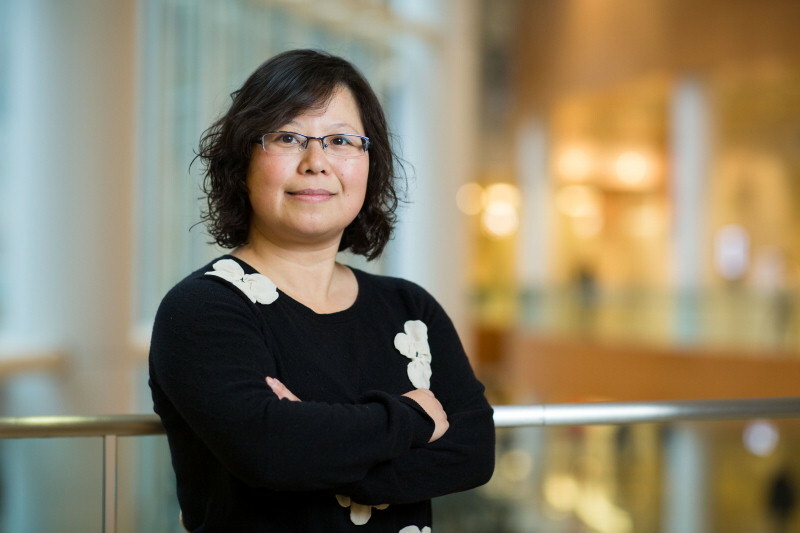 Dr. Zhu hopes to clearly establish how the overexpression of LMO1 collaborates with MYCN to contribute to metastasis in neuroblastoma and to identify key genes or pathways that are important for this process. Dr. Zhu anticipates this research will reveal new molecular targets that can be exploited therapeutically. Dr. Zhu alsi is an assistant professor of biochemistry and molecular biology.